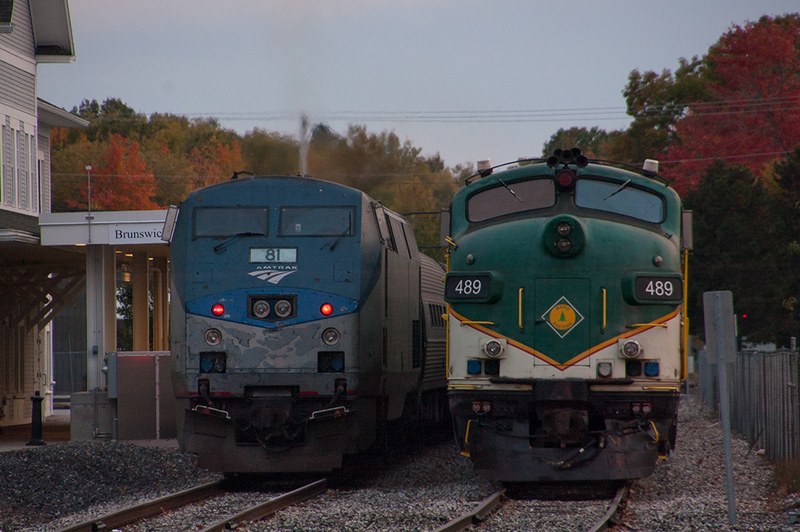 Amtrak’s Downeaster departs Brunswick, ME heading south while Maine Eastern’s Mid Coast Limited awaits it’s next run on Saturday, Oct. 11, 2014. My girlfriend and I took a trip up to Maine in mid October and spent a night in Brunswick. Our hotel was just across the street from the Amtrak station and I managed to get a few shots that evening and the next morning. The lighting was pretty low that night (and I forgot to adjust the ISO on my camera) but I made do. It’s pretty up there in the Fall. 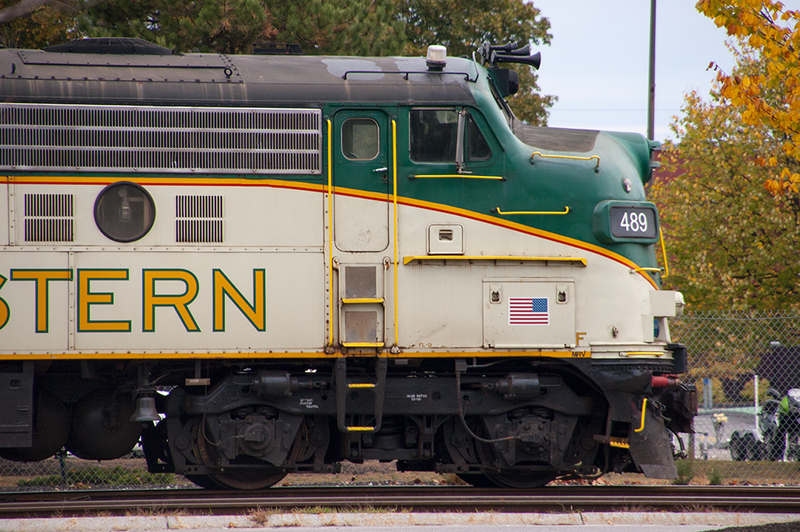 Next year I might take a bit more time to actually chase the Maine Eastern on it’s run to Rockport. 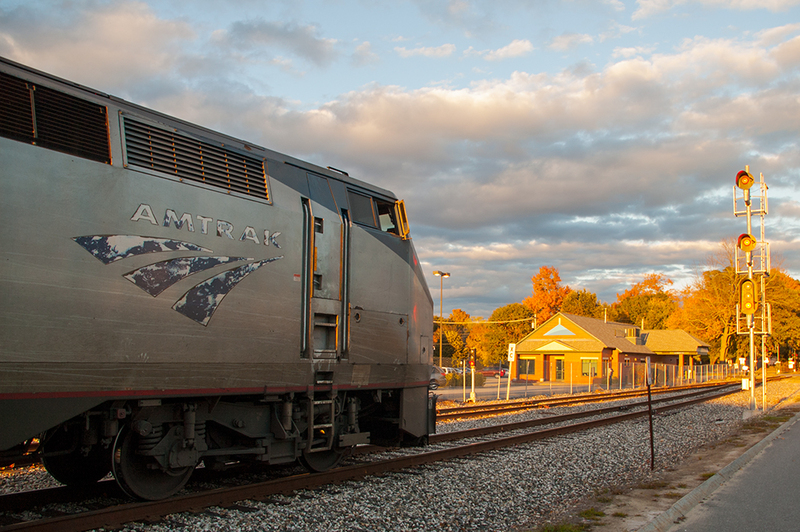 Amtrak’s Downeaster at the end of it’s run, getting ready to head south. The Maine Limited snoozes away a chilly Saturday morning. FL9 #489 looks pretty sharp in Maine Eastern colors. 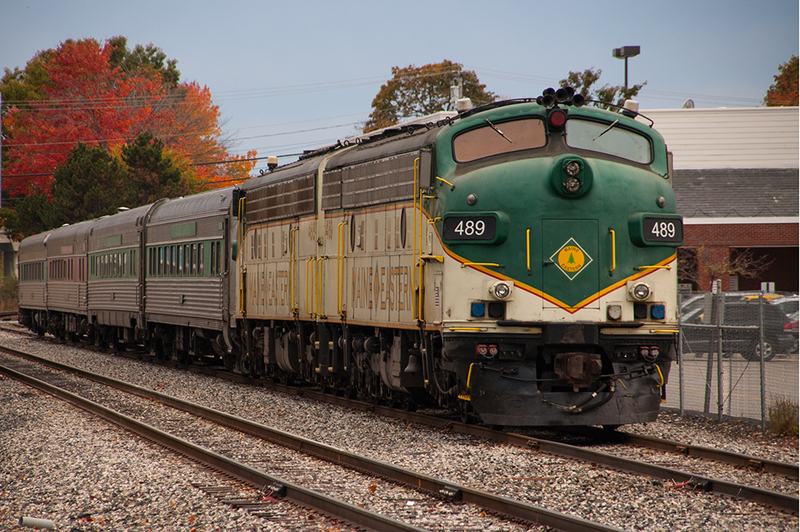 The Maine Limited awaits its 12:50pm departure on Sat. Nov. 11, 2014. 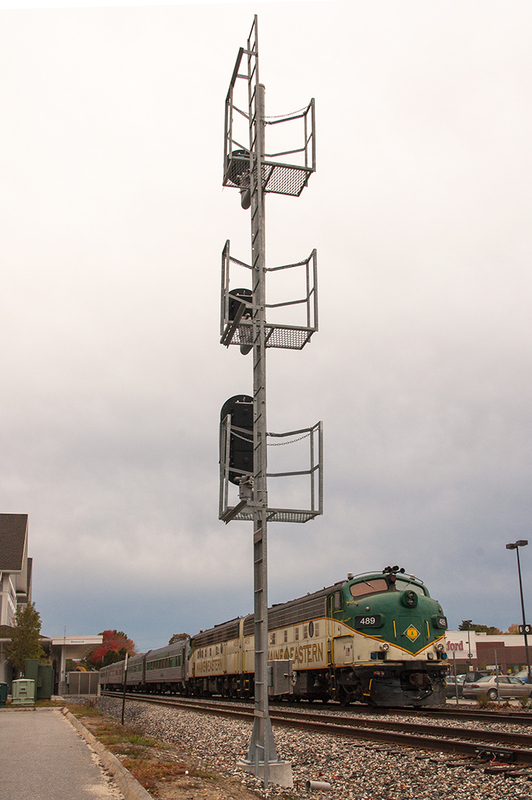 This entry was posted in Railfanning and tagged AMTK, Amtrak, Dwoneaster, FL9, Maine, Maine Eastern by Milepost15. Bookmark the permalink.